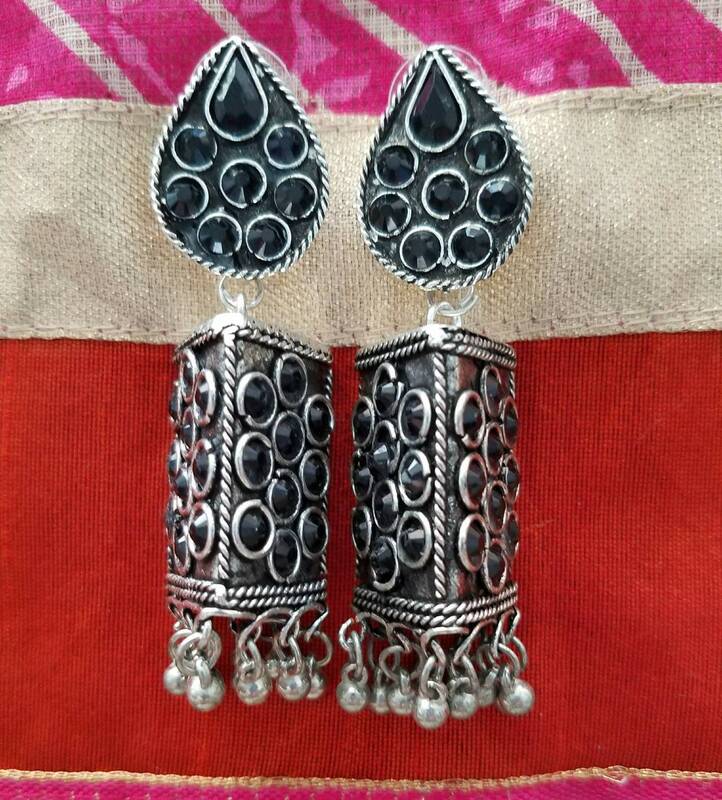 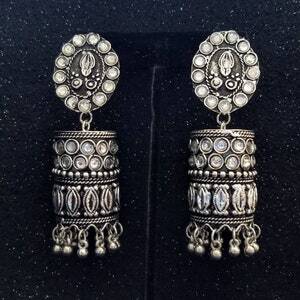 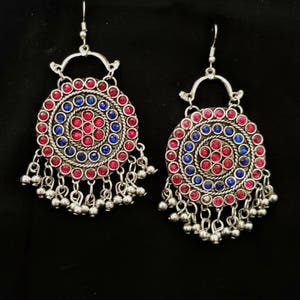 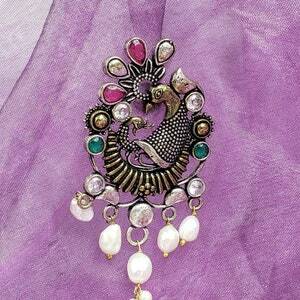 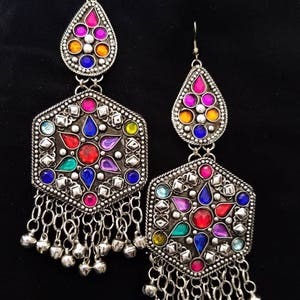 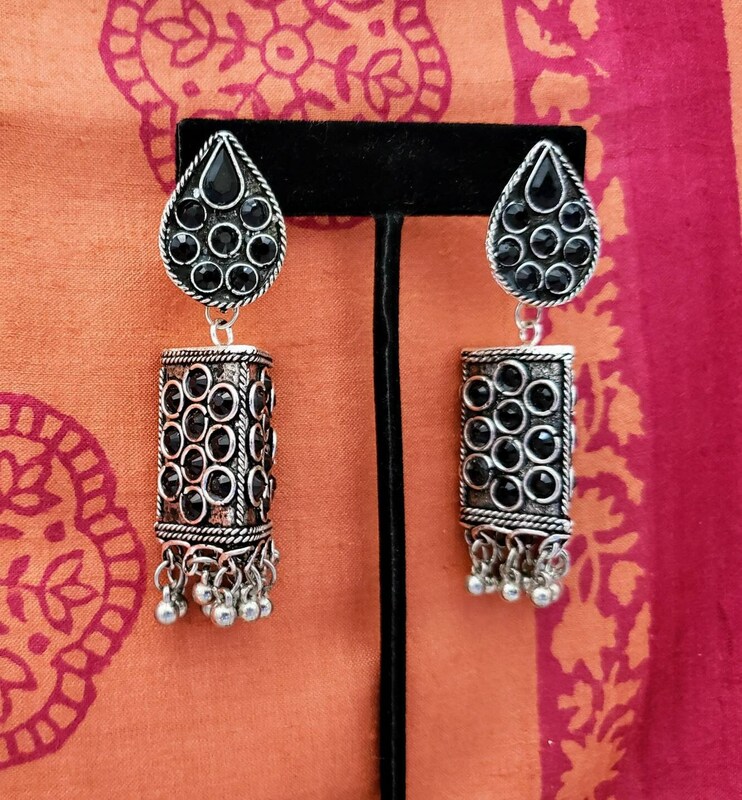 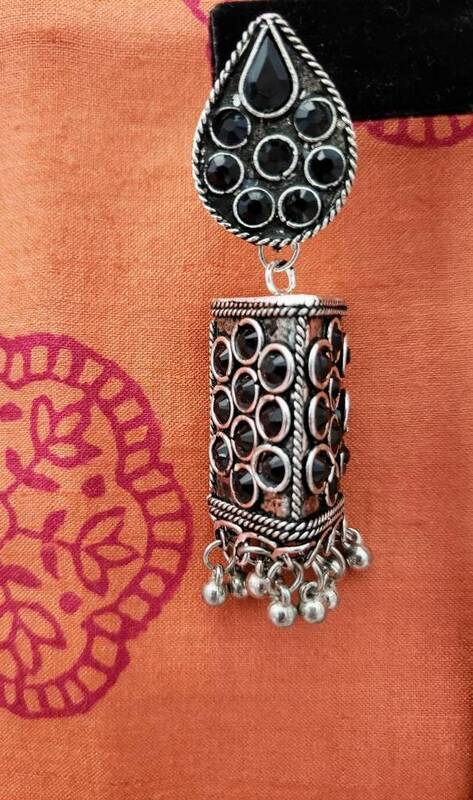 Dazzling black Afghani earrings in oxidized silver so as to create the patina of a vintage tribal piece. 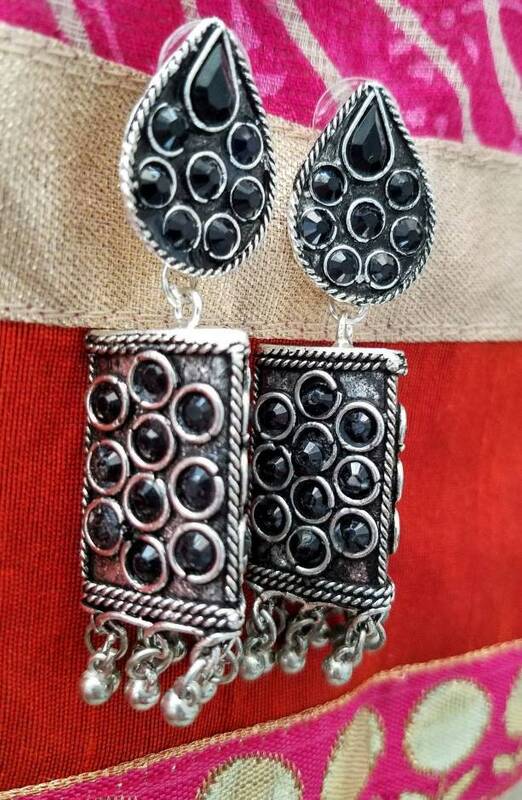 Faceted black glass stones add bling power. 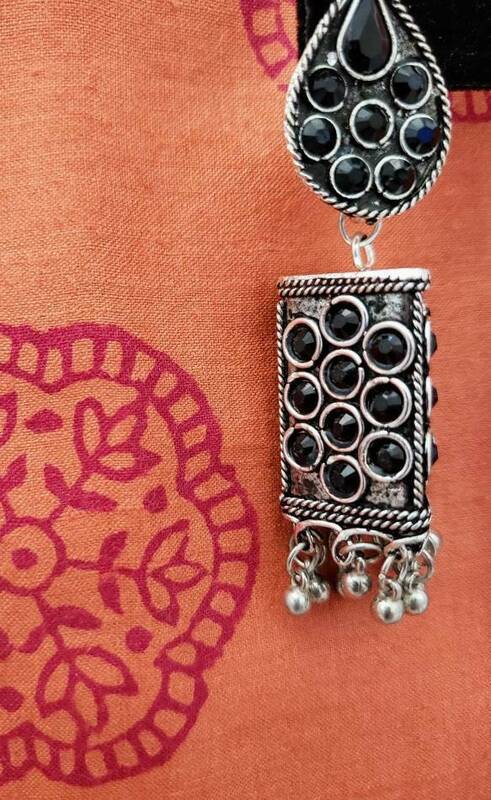 Three sided, rectangular shaped, with a tear drop shaped ear stud - very attractive!